Maybe you’re not feeling like one today. That’s possibly the same way Gideon felt on the day the Lord came to him. “Gideon, valiant warrior.” Those are the words God used to describe Gideon while he was down in the winepress threshing wheat and hiding from the Midianites. Threshing floors (where Gideon was supposed to be threshing the wheat) are always exposed in a high, open air setting to take advantage of the soft, steady winds for the wheat to more easily fall and be separated from the chaff. Winepresses are for crushing grapes. Threshing floors are for threshing wheat. But Gideon is so afraid of the Midianites that he was threshing the wheat in a secluded, damp, isolating place so his enemy wouldn’t find the wheat and steal it away. Gideon is not supposed to be afraid of the Midianites; he and his people are supposed to drive them out. But his fear has taken hold of him. Maybe you can relate to that. Fearful Israelites…? It was not supposed to be this way, so God came to Gideon… (Judges 6:11-12). Gideon and his tribe had been praying to God to send someone else to rescue them. Sound familiar? God please send help soon! But, is God calling you? 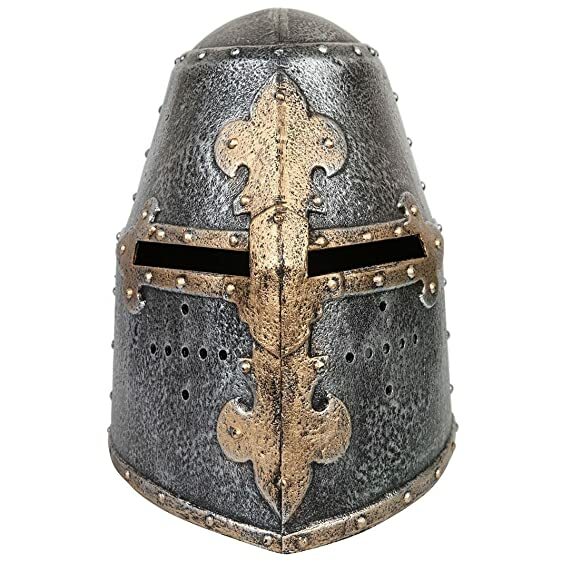 GOD saw Gideon and named him a Valiant Warrior before Gideon was ever aware that any sort of warrior like quality could possibly exist within him. But then, there’s God’s view of who Gideon was and Joshua 6:34 happens, “The spirit of the Lord came upon Gideon.”= identity change. And all throughout the story of Gideon we read how God made him a valiant warrior; filling him with His spirit, answering his prayers, giving him wisdom to sift men as wheat, scaling down his army to only 300 and going against the enemy into an intense battle with weapons of trumpets and empty jars! This could only be–Valiant Warrior Gideon! adjective 1. possessing or showing courage or determination. This whole situation could not have made sense to Gideon. Gideon must have been shaking his head in wonder of the God of Israel, and at the same time, maybe smiling in awe and anticipation because at this point he had a history of God’s faithfulness to draw from… so Gideon did as God told him. God met Gideon “down in the winepress” and reminded him who he was… a valiant warrior. Don’t feel sorry for Gideon, he was right in the place God could meet him. Sometimes our circumstances can position us in the very place where He can meet us and prove to us who He says we are. God told Gideon he was a Mighty Warrior, and indeed he was! 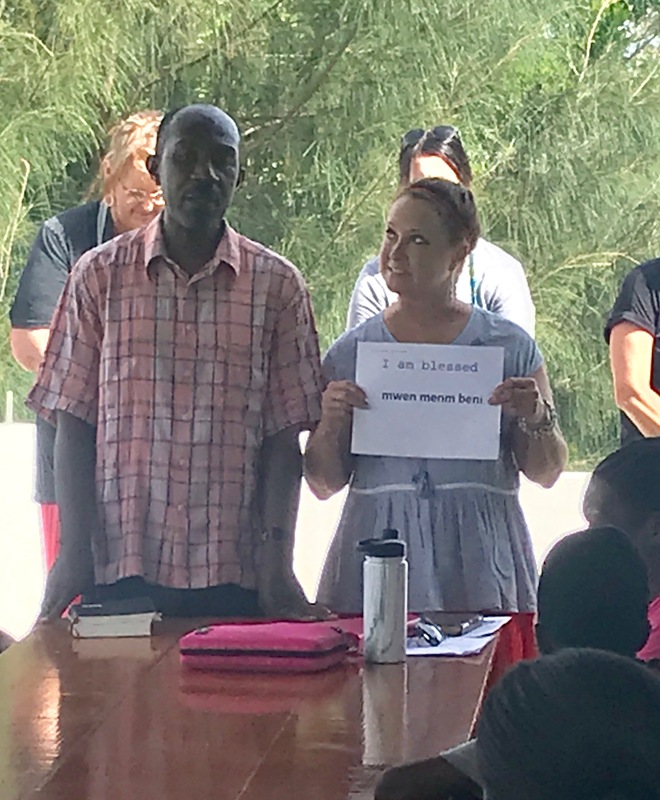 Gideon learned this new name for himself one way-by BELIEVING GOD and listening to the call of God on his life! Gideon believed he was who God said he was. This makes me laugh… I can just picture it–there were 400 Midianite “warrior wanna-be’s” for everyone 1 Israelite–yet the Midianites are crying and running away from an army of guys with trumpets and broken jars! Awww… the power of God. Why does God’s word share these types of stories? Because He is always gracious enough to remind us what He REALLY DID SAY in His word about who He is and who we are. Here’s another fun I am… I am snatched. What I am______ are you BELIEVING God for today? The very first question in the Bible was asked to a women, and Eve was the first women to be tricked by the enemy. From the very beginning women have been challenged to doubt what God really says. The serpent cast doubt on Eve to diminish what God said. He caused her to question what God says and the truth in it. The serpent was – and is – outright deceitful. What God said really was true and scripture proves it over and over. Satan tries continually to get us to doubt God’s word. He lies and tells us God is withholding something that’s good for us. Our enemy is constantly working to get us to doubt God and what truth is. The truth is… we are who God says we are! 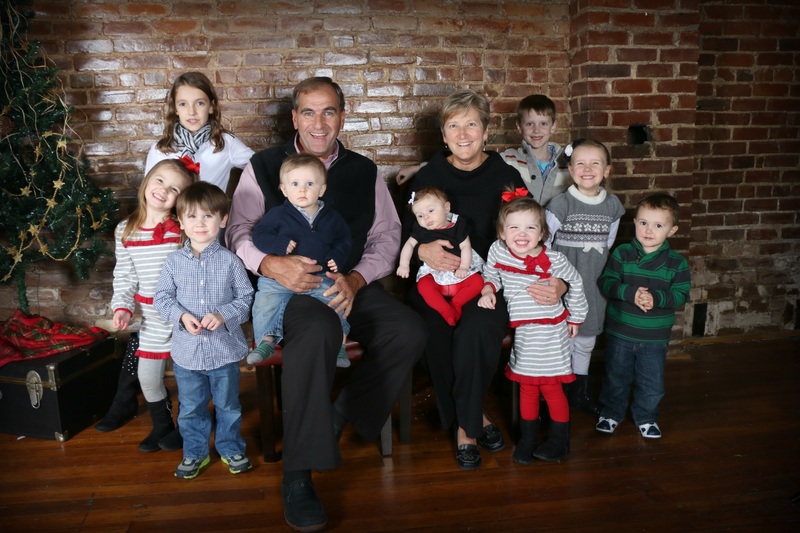 Scripture is full of words God uses to describe the qualities within each of His children. This year in our local women’s ministry we are focusing on some of these beautiful truths about us and setting our minds on believing them- BELIEVING GOD! I’ve been focusing on Believing God’s word and not shrinking back. 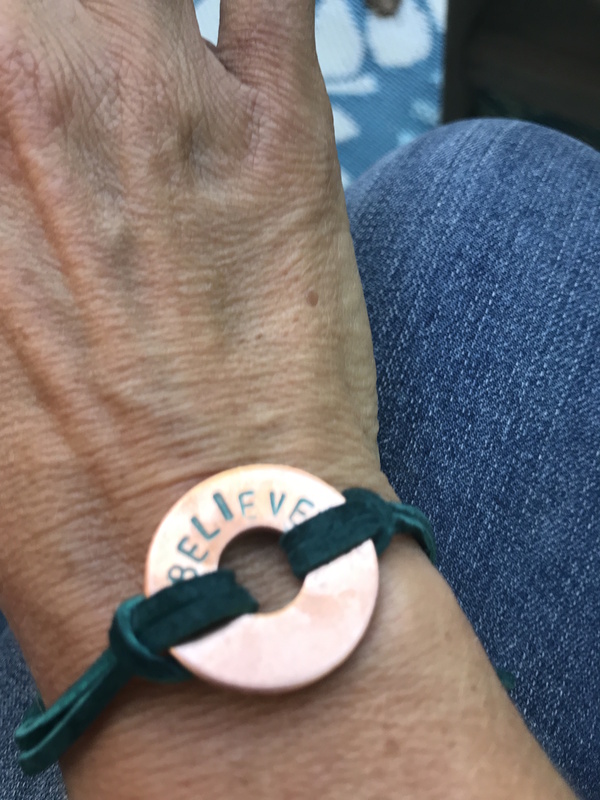 I wear my BELIEVE bracelet and at just a glance, I am reminded to believe who I am in Christ. God invites us to remind our souls who we are in Christ. Take a journey with us and go on a hunt through His word. What does God’s word say about you? 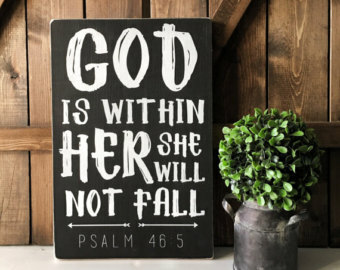 God called me to take this reminder to Haiti while serving there last month for a women’s conference. 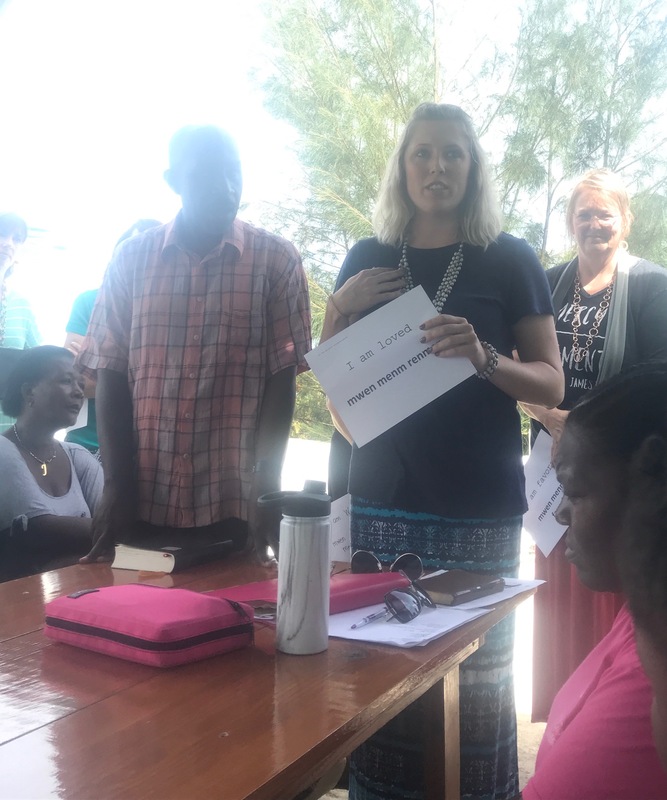 As we met with the Haitian ladies who are serving as church leaders for the women’s conference, we celebrated with them what GOD REALLY DID SAY about us! And they reminded each other! Oh, the beauty of this scene across the rooftop that morning. Spend some time reading His word, reminding your soul who you are. Then take a few moments and remind another. We are victorious, friends, God really did say!! Oh, the never ending love found in God’s word! Long forgotten corners of the pantry? I’m not even talking about the “Uuugh, Moooooom, there’s nothing to eeeeeeat” type of empty. You feel hungry enough to where you’d gladly eat any can of straight spaghetti sauce if only you could find it. But you can’t just go to the store to buy some food – you locked yourself in for the weekend, remember? Not that you’d really have the money to buy food anyway. I guess you’ll have to buckle down and wait for those donuts at work on Monday. In a sense, this is what is happening to kids all over Centerville during the weekend. 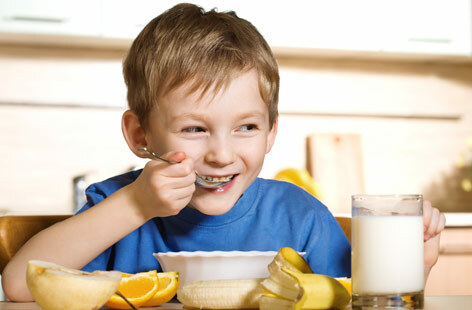 Many kids who go to Centerville City Schools end up going home for the weekend without any food. They often live in tough situations that result in little-to-no money for food – sometimes the only real meal they get is the free lunch at school. This is where the Food2Go program comes in. 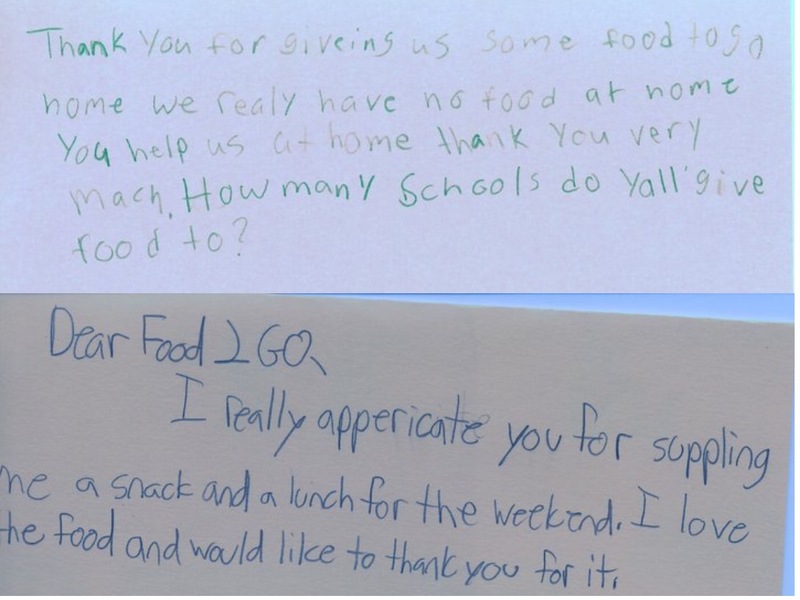 Food2Go is a backpack program for the Centerville City Schools that began through a couple of individuals from Living Hope Church who saw a need to feed children who are at risk of not having enough food to eat on the weekends. Since its beginning in 2007-2008, the program has gone from feeding 40+ children each week to over 160 children this school year. There were nearly 200 children served by the end of last school year. 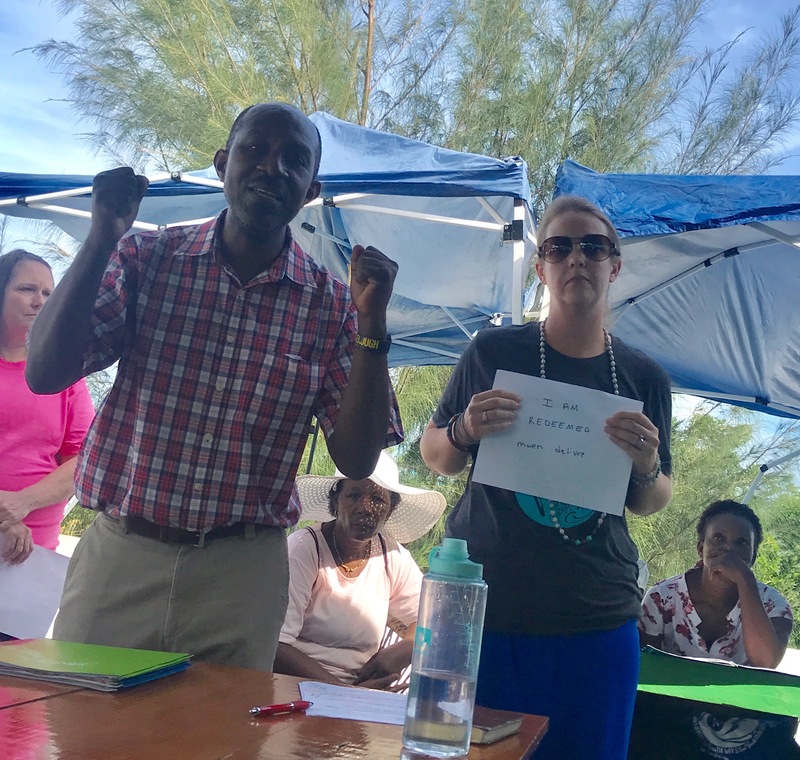 There are 28-30 volunteers involved in the program who purchase the specified food items, inventory, pack and deliver the food to the schools each week. We also partner with Elk Enterprize which is the work/study program for special needs students at the High School who inventory and pack the individual food bags, thereby receiving valuable career and life training in the process. How did I become involved? Just before the holidays last year (2014), I had heard that the Food2Go ministry was struggling financially and there was some concern that Living Hope would no longer be able to support the program. That struck a chord with me–I thought that this was too important a ministry for it to not be able to continue. At the time, I had no involvement with the program and didn’t really know much about how it operated, so I didn’t really give it any more consideration, especially with the onset of the holidays and all the busyness that comes with the season. UNTIL, the first of the year came around and I received a call from my pastor, Jon Gibson, who wanted to talk to me about Food2Go. I was reluctant–no, afraid of what that meant, so I did not return his call. The following weekend was the District Women’s Gathering, which I attended by myself. 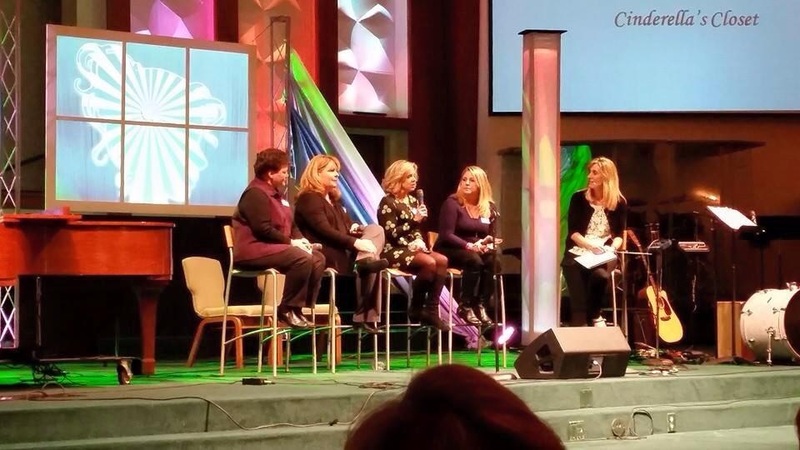 As I sat through the sessions listening to each woman on the discussion panel share their testimony of how God called them to start their ministry, I felt God poking at my heart. 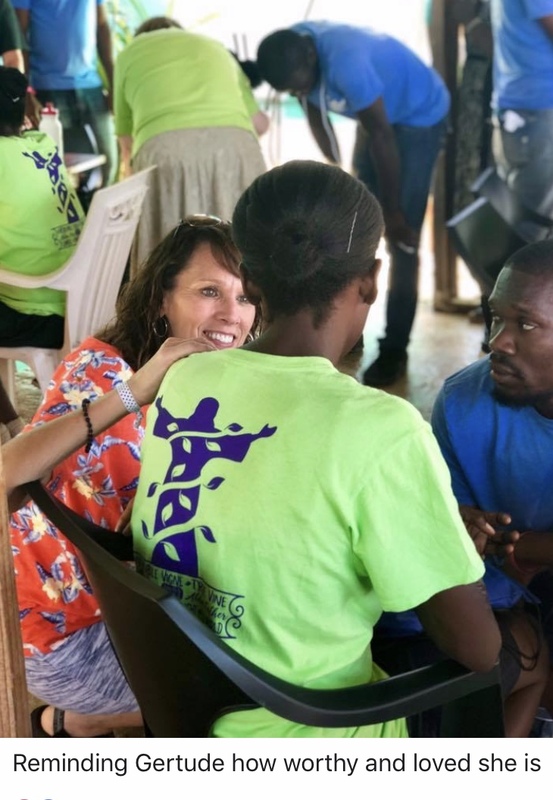 Then, I heard one of the women say, “God is speaking to one of you out there and if he’s asking you to do something, then you better do it!” It was as if God had said it directly to me and it could not have been more clear. It was confirmation for me, that God was calling me to get involved with Food2Go. So, I returned Jon’s call and as it turned out, the director of Food2Go was stepping down, and a new coordinator was needed. After meeting with Jon and the director to learn more about the role, I knew this was what God was calling me to and I couldn’t say no. I am now in my first year of directing Food2Go and it has been a learning process. 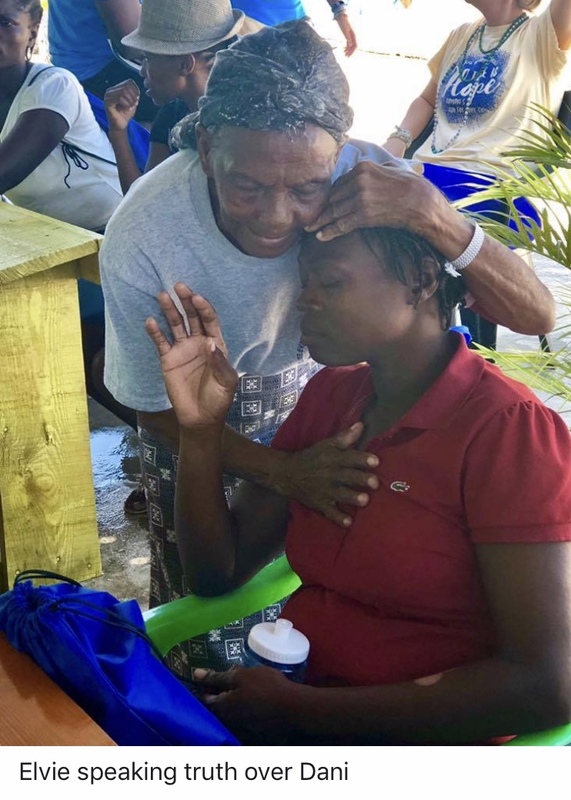 The ministry is still having a few struggles financially, but it is improving and people have stepped up to either volunteer or support it financially. We have another church, Normandy UMC, who partners with us by providing some of the food which is about 1/3 of the total cost. We have also received grants from a couple of local organizations. What has God shown you? 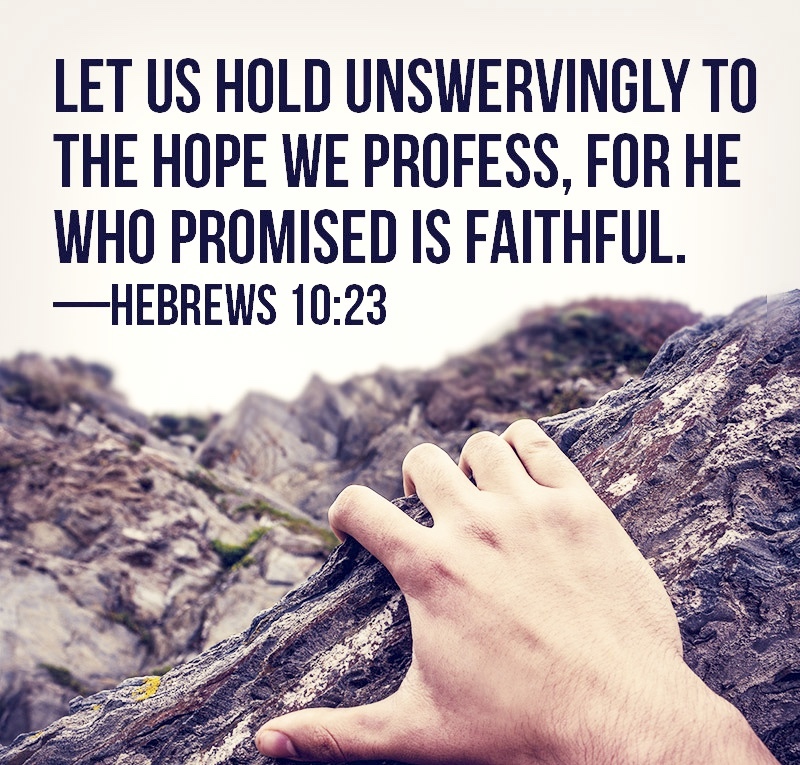 God has shown me that He is always faithful. I was afraid…afraid of failure…afraid of inadequacy…afraid of disappointment. Despite those fears, God reminded me that He will provide what I need and all I need to do is trust Him for it. Those fears still creep in from time to time, but when I see the blessings that come from this ministry and hear of the impact it is having in the community, those fears are replaced with joy, satisfaction and excitement. The relationships I have formed with not only the volunteers, but school counselors and teachers, have been a blessing I didn’t even foresee. It is a pleasure to work with such a wonderful team, who all share the passion for helping children in need. I am grateful that God spoke to me the way that He did. Through the obedience of those women He called to ministry and through the opportunity of hearing those women share their stories, I now have the opportunity to share my story. That is my heart’s desire: to be a part of God’s story! 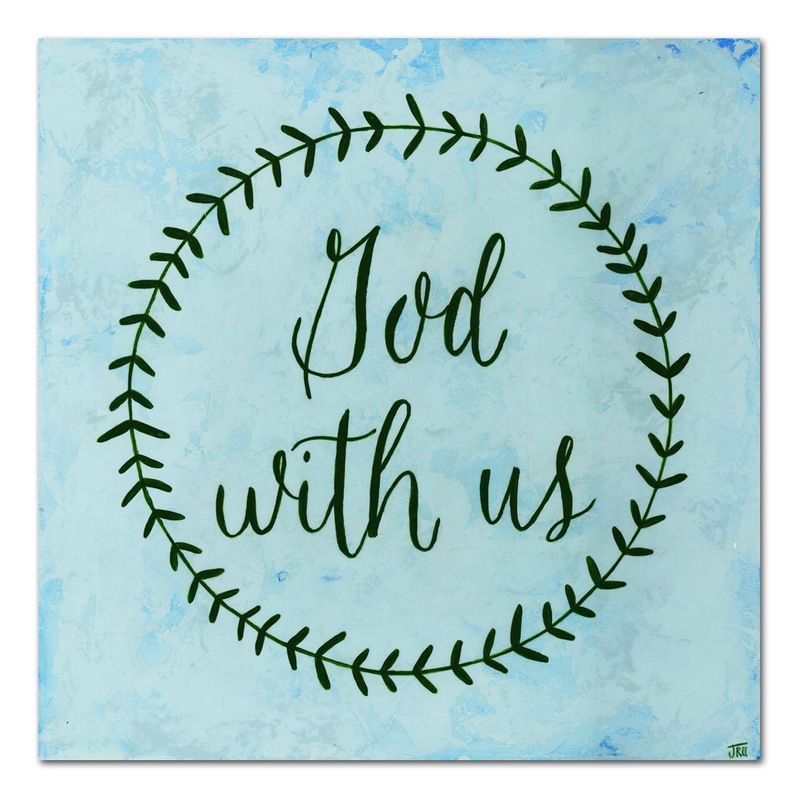 Immanuel…God with us. This four syllable biblical word describing the baby Jesus is a staple for Christmas carols, sermons, and cards. I have probably heard the word Immanuel numerous times every Christmas season of my life, yet until recently I have probably not understood it’s depth of meaning. 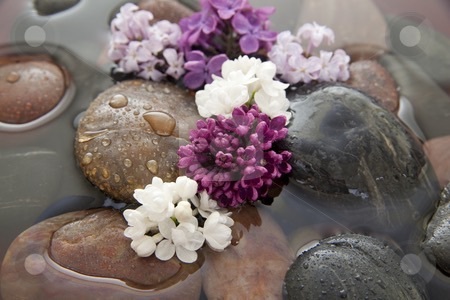 ​Somehow grasping for hope causes us to search for meaning…the meaning of life, the meaning of death. 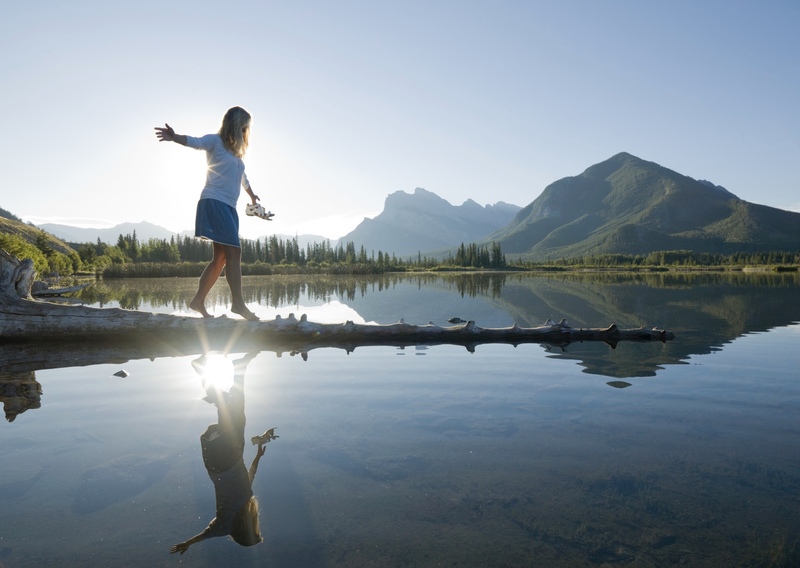 In the midst of Stage IV metastatic carcinoma, what does “God with me” mean? As a Christ-follower, faith assures me that He is WITH me, in the good times and the bad times, in sickness and in health, in celebration and in defeat. But exactly what does WITH mean? Perhaps the WITH of God explains the peace I have felt in the midst of cancer treatment. 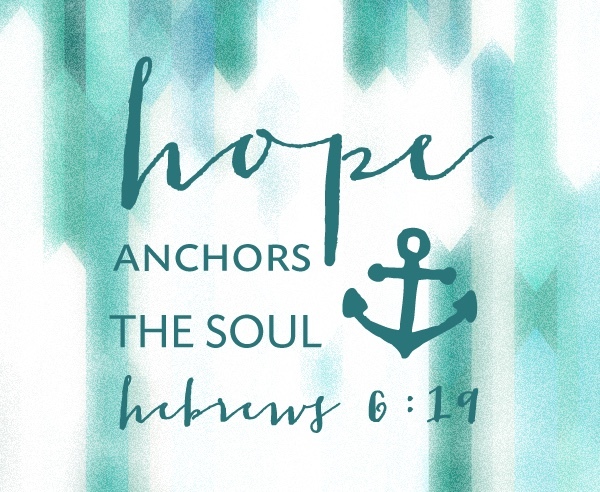 Or does the WITH of God answer the unexplainable joy, or the unwavering hope that God is in control of my life? His WITH for me means His very nature permeates my thoughts and reactions when I am scared of hearing scan results, or when the pain of the tumor in my leg reminds me that I am living with cancer. The “with” of God enables me to not only survive this time of my life, but even to thrive during this time. 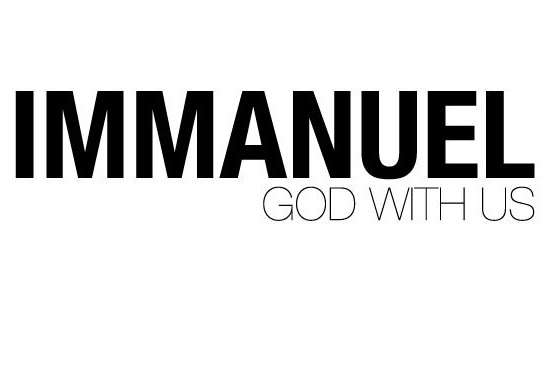 ​God often reminds me that He is Immanuel to me. 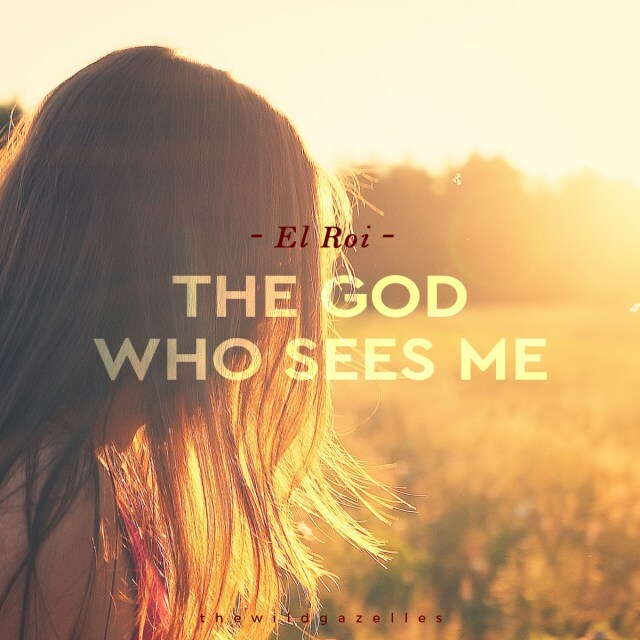 He is with me and is in control of everything. 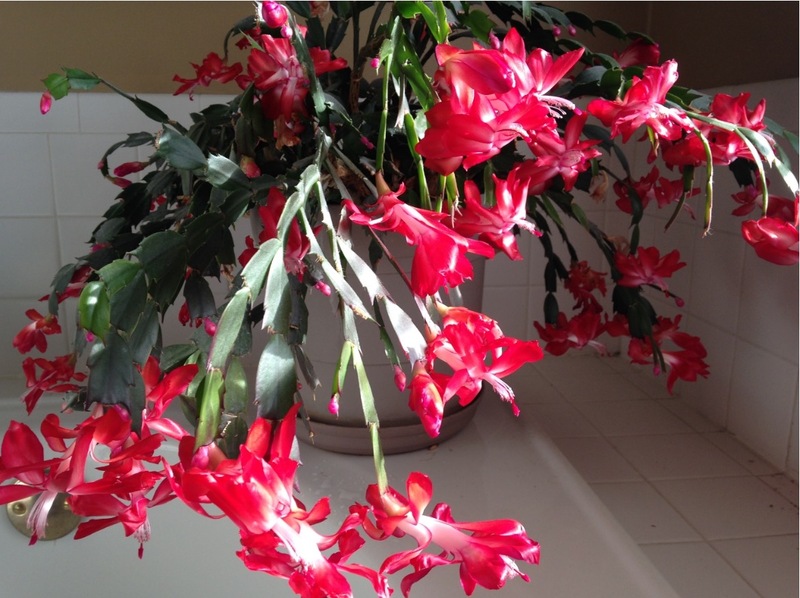 Ten years ago, I received a Christmas cactus as a gift. I parked it in our master bathroom where I would remember to water it (even cacti need some water!). The cactus sits all year looking rather nondescript. In fact, it’s rather ugly. But every year in late November or early December, beautiful amazing red flowers appear. I remember four years ago when I was going through my first breast cancer. I glanced at the beautiful cactus one day and made the comment to Bob, “How does that plant know it is December!” Immediately the Lord reminded me that He is Sovereign over everything. He tells the Christmas cactus that it’s time to bloom! So why would I have to worry about ANYTHING. Therefore I tell you, do not worry about your life, what you will eat or drink; or about your body, what you will wear. Is not life more important than food, and the body more important than clothes? Look at the birds of the air; they do not sow or reap or store away in barns, and yet your heavenly Father feeds them. Are you not much more valuable than they? Who of you by worrying can add a single hour to his life?…But seek first his kingdom and his righteousness and all these things will be given to you as well. Therefore, do not worry about tomorrow, for tomorrow will worry about itself. Each day has enough trouble of its own. I can thrive in the cancer battle because He is Sovereign Immanuel. The “with” of God knows and orchestrates every day of my life. You can imagine how shocked I was to hear those words. In these cancer-laden, chemo-driven days, I often don’t feel like a princess. I limp. I have one arm almost twice the size of the other. I have gained weight due to steroid infusions and increased appetite. My “princess” days seem to be over. One of my fears in my reoccurrence of cancer has been that my grandchildren may not remember their Grammy as vibrant and full of life, but chemo-destroyed, old, sickly. I try as hard as possible to seem as normal as possible in the abnormal. Tucker made my day that day. I realize that the comment was probably spurred on by the “princess-type” sleeves of my new blouse, but I can always fantasize that he really saw his grandmother with the blind eyes of love and not the clouded eyes of the world. That we would all live this way. 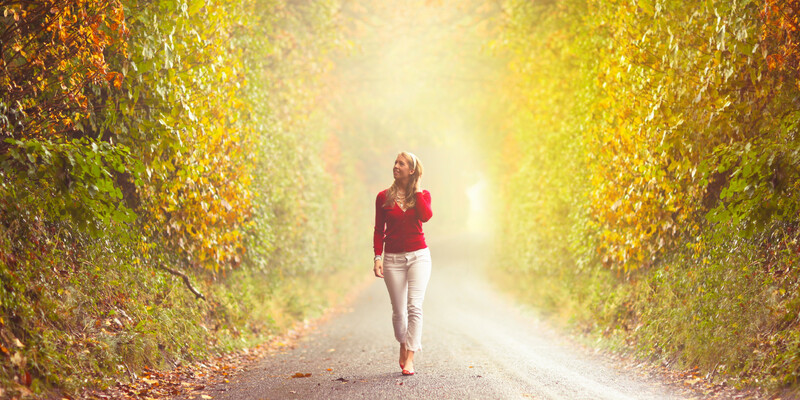 I want to thrive in the midst of cancer…not just survive…that He may be glorified! Click here to find out more about THRIVE:Gathering 2016 where Elaine has been a featured speaker. Look! I am about to do a new thing! Now it sprouts! Do you not perceive it? Indeed, I will make a way in the wilderness, rivers in the desert. What do you do when the new in life is the hard. It’s not an exciting new adventure or giddy butterflies in your stomach moment. It’s gut wrenching, head spinning and faith clinging, clinging, clinging. How do you respond to this “new thing” in your life situation that feels like it is stealing from your life? Where is the new creation? Where are the new compassions? Why this new thing? 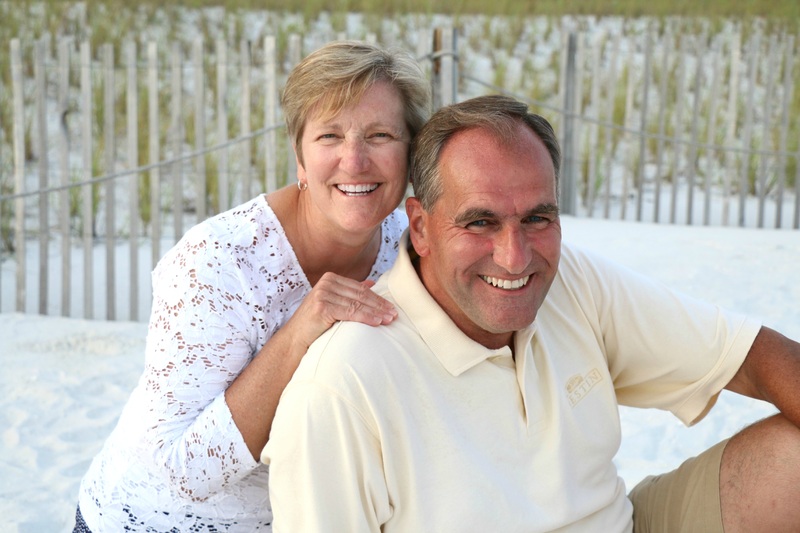 Meet my friend, Elaine Mahaffey, and hear her story. Allow her perspective to open your eyes to new ways God loves, heals and creates the new in the midst of the hard. 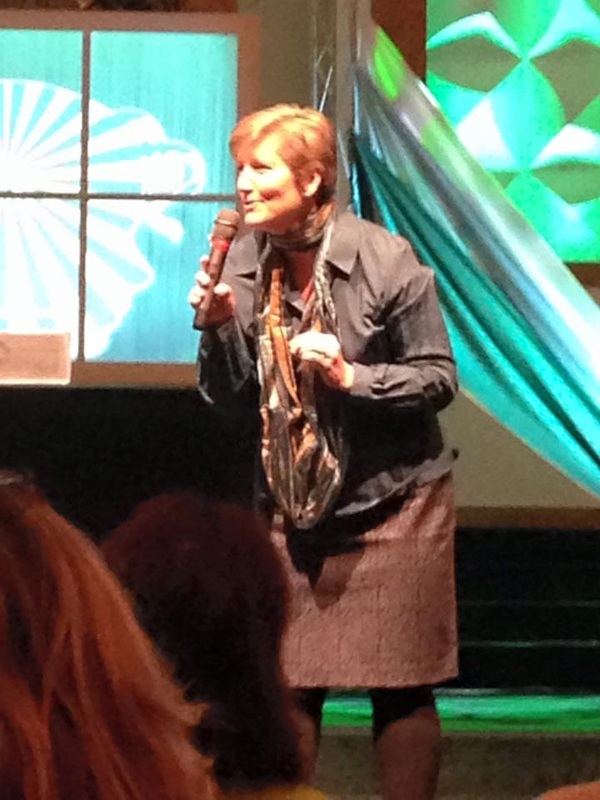 Many of you have heard Elaine speak at our Out of our Mind women’s events the past 2 January’s. What none of us knew this past January was that a little over 24 hours before Elaine spoke to us about being devoted to the apostles’ teaching, she heard from the doctors that her cancer had returned; this time in her bones. But I’ve been here before! I know what it’s like to hear the “C” word from my doctor. MRIs, CT scans, surgery, radiation…been there, done that. I remember the infusion center, the shock of post-surgery realization, the pain of severe burns from radiation, the celebration of treatment completed. Yes, I know what cancer is like. And now I know what it’s like to have cancer return. ​As I have cried and prayed my way through this recent diagnosis of metastasis, I have asked God what I am to learn from this. With my first cancer experience, I blogged on a Caring Bridge site, but I have struggled to begin a second blog attempt. God’s Word has not changed. Everything I wrote in my first blog is still true today, so what “new” thing am I to learn? What is God teaching me now? I must confess, this new is definitely hard. ​Patience. Perhaps God wants me to slow down, yet I am happiest when I am busy. My “type A” personality has always driven me to thrive on tasks accomplished. Even in the midst of this diagnosis, my mind runs with goals to achieve, closets to clean, books to write. Yet now I wait hours in doctor’s offices and infusion centers for appointments. 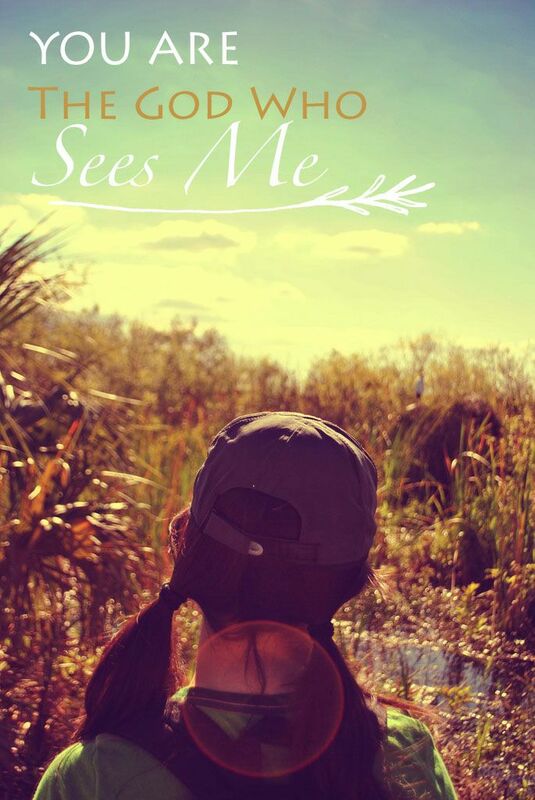 My time is now subject to the schedules of others…no more “master” of my days. Perhaps I do need to slow down, but God please give me patience! ​Humility. Countless friends and acquaintances have sent cards, visited, provided meals, prayed over me and with me, and have been very supportive. I am not used to this. It is perhaps one of the hardest parts of this whole process. Everyone means well and for the most part these interactions are good, but sometimes things are said that I must process with filters. Recently, a good friend asked me, “Elaine, how are you doing? I can’t imagine. What does it feel like to know you are dying?” I know she meant well…I would just rather focus right now on the living. God is God. He knew my date of birth and my date of death before I was even conceived. My life is in His hands, and I rest in that. Peace is knowing that I don’t have to concern myself with my coming and going. He does all things well. ​Trusting God does not mean you cannot cry. Believe me, I have cried with this recent news. I am very human and my emotions are very real. My husband has always been the one who cries more than me, yet together we have “cried a river” (probably an Amazon!) these past few months. I have cried as I shared this news with my associates at work, with dear friends, with people at our church, and even at times with total strangers! I will go along my day thinking I am handling everything well, and then for some odd reason, something will open the floodgates again. I love life, my husband, our children and their spouses, our nine grandchildren, blue sky days, mountains and beaches, and so much more. Yesterday I was reminding myself, “Better to have loved much than to have never loved at all.” I love these people God has placed in my path! And I cry when I am reminded that I am diseased. 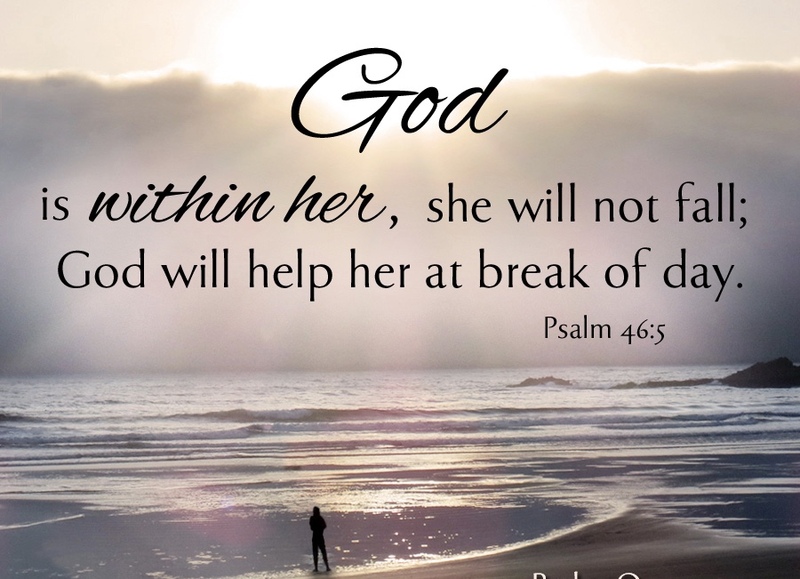 But – I trust God with everything…my life, my husband, our children and their spouses, our nine grandchildren, the blue sky days, and even the mountains and beaches. He is Sovereign. He is our Provider, our Sustainer, our Rock in times of trial. He is everything to me and I trust Him even in the tears. ​As we have worked through this Scripture corporately, I have worked through this privately. What does it mean to deny myself? I must understand that as a Christ follower, every part of me belongs to Christ. My time…my pride…the good days and the difficult ones…the cancer-free days and the cancer-laden days…my life. 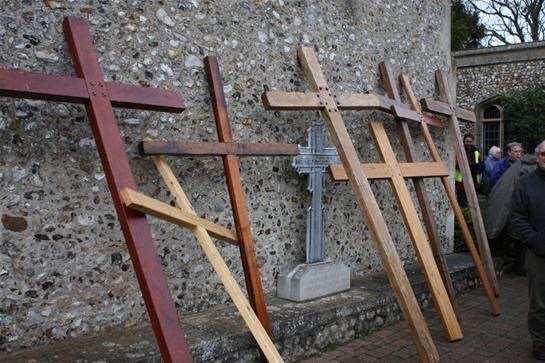 ​And what does “take up your cross” mean for me? Is my cross cancer? I don’t believe it is. In his book, Experiencing the Cross, Henry Blackaby writes that “Taking up your cross means giving up your rights.” Interesting. I think I understand Blackaby’s perspective a little better in the midst of a cancer diagnosis. 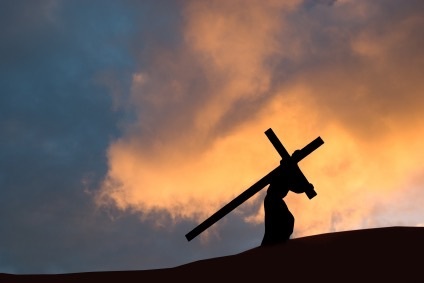 Taking up my cross means that I surrender my “right” to orchestrate my life as I desire, but God has every right to take me on the mountaintop or lead me through the valleys. I must surrender to His plan for me, and I choose to do so with the tenacity of embracing the truth of His Word with honesty, transparent with questions, successes and failures. The “new” is flooded with His presence, infused with His instruction, and enveloped by His grace. ​The result: I will follow Him. Even when the new is hard.